Today we are going to talk about the heartline. Often, but not always, there will be a part of a poem that inspires the rest. 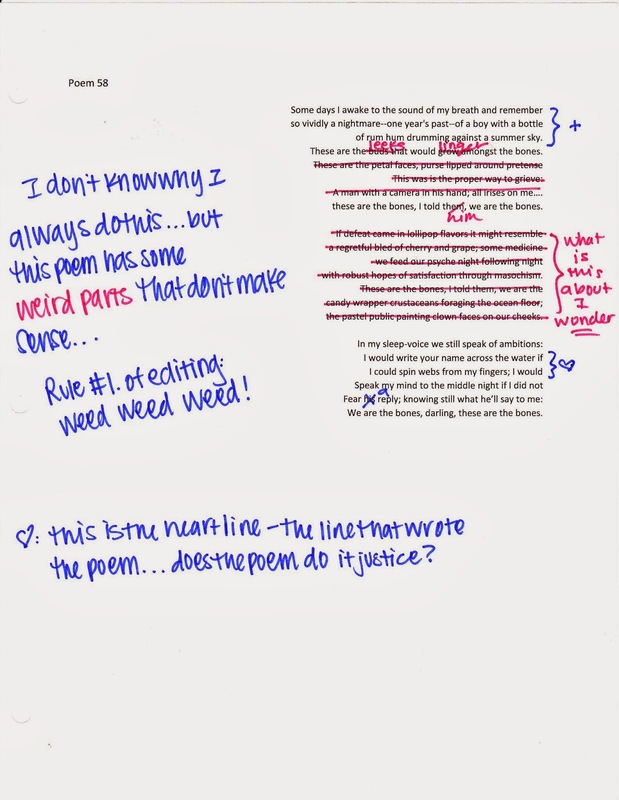 I call this the heartline, the part most vital to the ideas behind the poem itself. Sometimes there will be a reason to remove this line, sometimes it inspires several poems. Every situation is different, but if you find that there is a distinct line that povits the rest of the piece, this post will aply to that kind of poem. The heartline, suuuuper imprtant. I find that I am playing with a line for weeks before I ever write the poem. Don’t rush it. 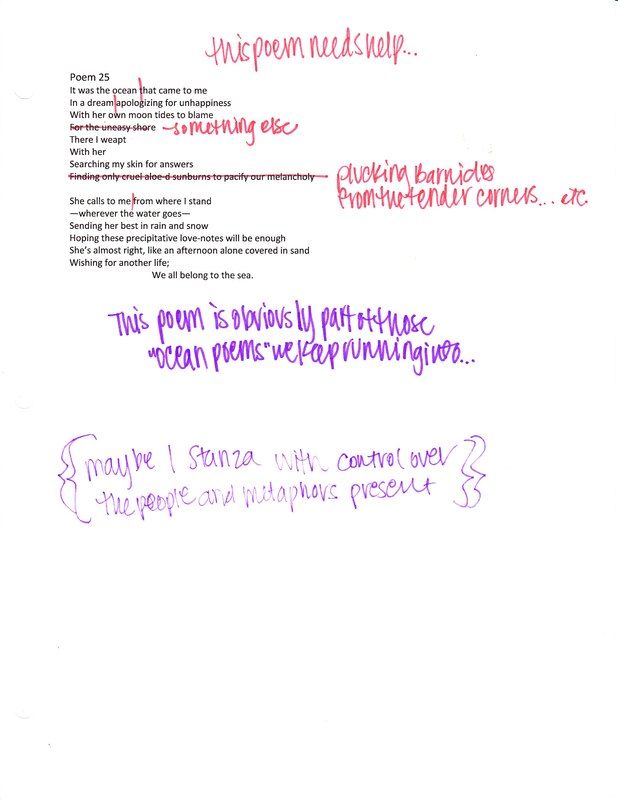 That is how we get lame poems. Sometimes your poem will support this line, other times it will dissapoint it. If you find that your poem is not living up to te heartline there are a few options. Scrap it, fix it, or just remove that line. It might make sense without it. For this poem, that line was merely the inspiration, it is not the backbone or the crux, or the moral at the end. It is merely an image (and an allusion to the headstone of Keats btw) that allows for the poem to pivot into motion. Heartlines don’t need to be very compelling in themselves, but are another good test of your editing potential. 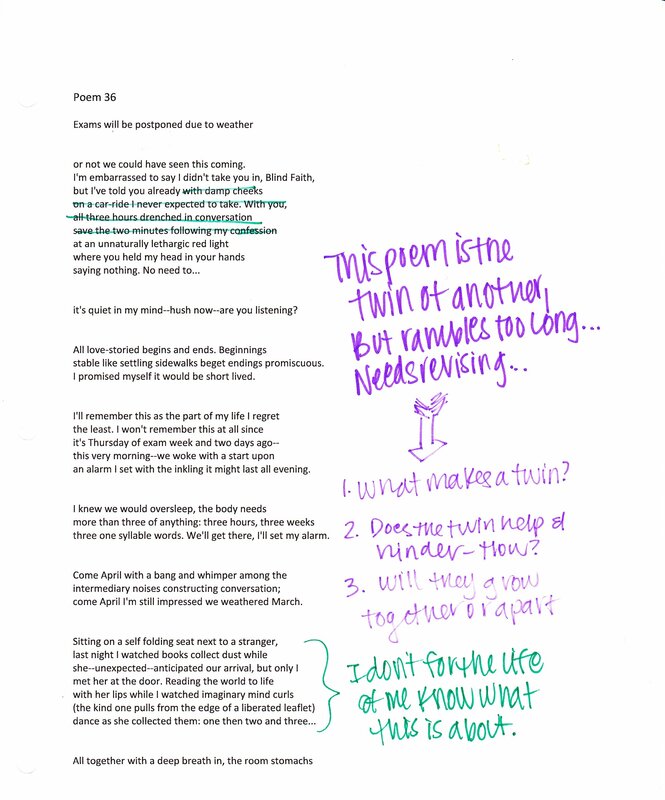 If the poem is living up to the heartline, then a small scale editing may help. If the poem dissapoints the heartline, maybe there are some bigger moves you need to make in order to improve the work as a whole. The heartline is an important benchmark for any given poem. If a poem grew from a single line, your job is to decide if the poem lives up to that line or if it dissapoints it. In no way should this line be anything but an inspiration, no pressure, but remember that getting down everything in your head is impossible, but that heartline, that thread is a good tell of how close you got.